Also known as Liberty Park, this park doubles as a historical monument in remembrance of socialist militants. It is famous for the tree-lined esplanade that courses through and around it's shimmering lake. Altogether it comprises of about 30 acres worth of landscaped gardens. 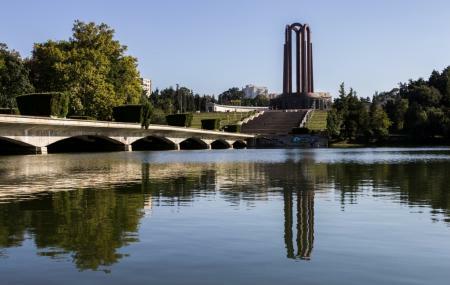 Check out the elegant and solemn Mausoleum, a World War 1 Monument which was originally a communist monument. There's also the small Tepes Castle on the grounds from the early 20th century. Scattered around are various statues of historical figures. Other sites of interest include the Gogu Constantinescu bridge, the Giants' Statues, the statue of Sleeping Beauty, and the open-air Roman Arena which is used for musical concerts. How popular is Carol Park? People normally club together Patriarchal Cathedral and Cotroceni Palace while planning their visit to Carol Park.